Your long distance Fremont, California move is imminent. You have been planning for a very long time and now it is time to finally take the plunge and relocate. Have you started looking into reputable Fremont moving companies? Have you interviewed movers? Do you know what types of questions you need to be asking in order to gather the most pertinent information regarding long-distance moving? This is where we come in. We are California based movers with years of experience and the professionalism that customers have come to depend on. What Can You Expect From Your Long Distance Fremont Move? What exactly should you expect as you prepare for your long distance move? For one, you definitely want to take the time to understand the process that the morning company uses. Make no mistake about it, any high quality moving service will involve a detailed process. This is your stuff after all; of course you don’t want anything to happen to it. The better prepared the movers help you to become, the smoother the long-distance move will go. We do everything from providing packing material should you require it, to helping you pack up your home or business, to of course loading the van or truck with the utmost care, and then when we do get to your new location we will help you unpack and put everything in its proper place. We know that our clients’ expectations are high and we always strive to meet them. Ahead of the California move itself, you might want to think about making sure you change your address. Also, you can use this as a time to declutter. We all have those items that we just don’t use any more and that do nothing but simply take up space. Get rid of it, lighten your load. Additionally, keep a running list of everything that you have accomplished and everything that you still need to do in preparation for your long distance move. You will be surprised at how staying organized can make the moving process much easier. Our staff would be happy to talk you through the stages of preparation. We have worked with numerous clients in the Fremont area, we know what to expect, and we can help you better navigate the nuances of any type of move. We Truly Care About Your Belongings! One of the things that makes us different from other Fremont moving companies is the fact that we truly value your possessions as we would our own. We know that if we were the ones moving hundreds of miles, even thousands of miles away, we would want the movers we were using to have our best interests at heart. You can depend on us to deliver your things in a timely, affordable, and efficient manner. This is our guarantee—this is the philosophy that we stand behind. Fully insured and fully licensed, we are the one Fremont, CA moving company you never have to worry about. 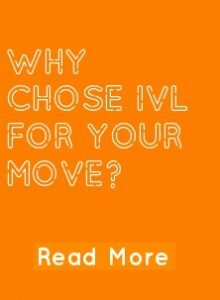 International Van Lines was ranked#1 by Moving.co. You can read more about us or visit our reviews page.